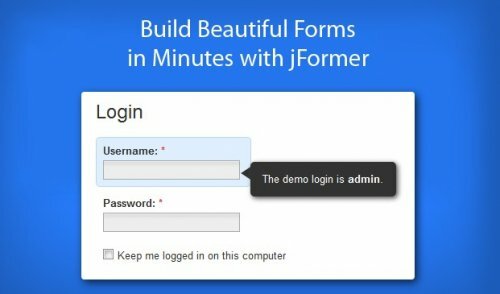 This is very light jQuery form validation Plugin. The code is under 6kb and can be extended with your own validation functions. Class that allows you to perform different tests on form to validate them before submission. 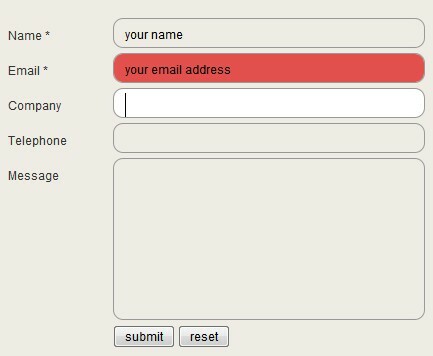 How to create a fancy sliding form that shows some validation feedback to the user after each step. 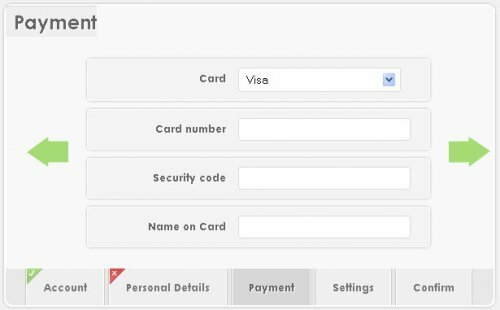 This form saves a lot of space and is easy to access , it basically works like a slide show, just that we have fieldsets of a form instead of images. 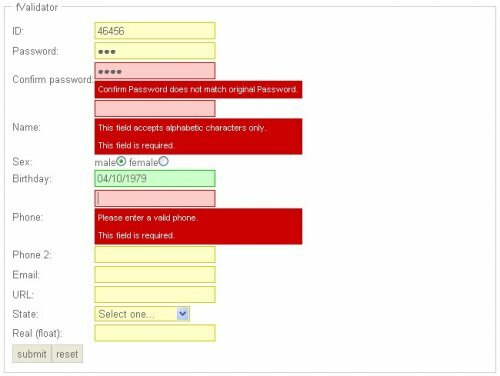 In this tutorial we are going to learn how to build real-time form validation using jQuery. 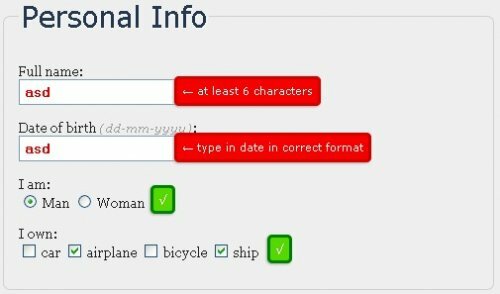 jQuery form field validation plugin that provides an appealing animated message flyout that doesn't impede form layout/design while being user-friendly.